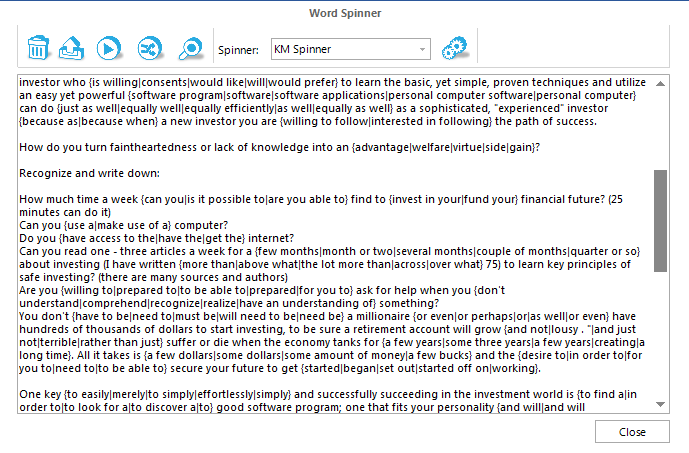 You can find the Word Spinner by clicking on Tools on the home panel and selecting Word Spinner. Spin a piece of content with your favorite spinner. Write sentences/paragraphs on separate lines and put them in spintax. Load content from a text file that you can spin.